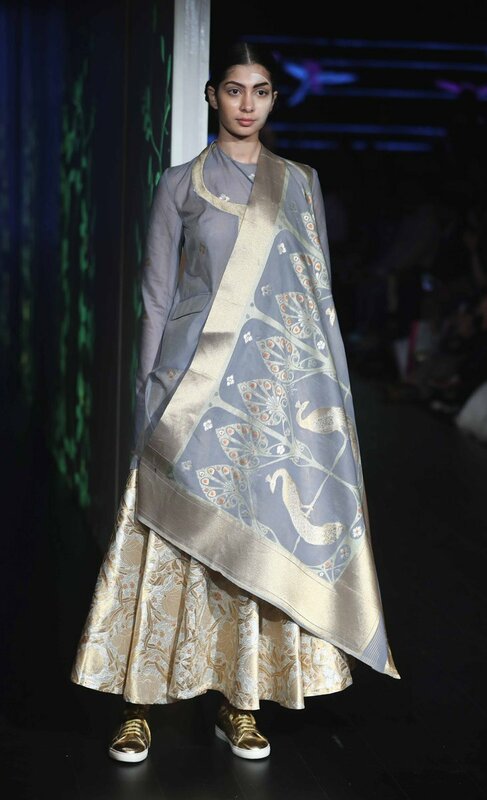 Lakme fashion week moves to day two of the winter festive 2018 season, where designers are gearing up with their intricate work of art and design. 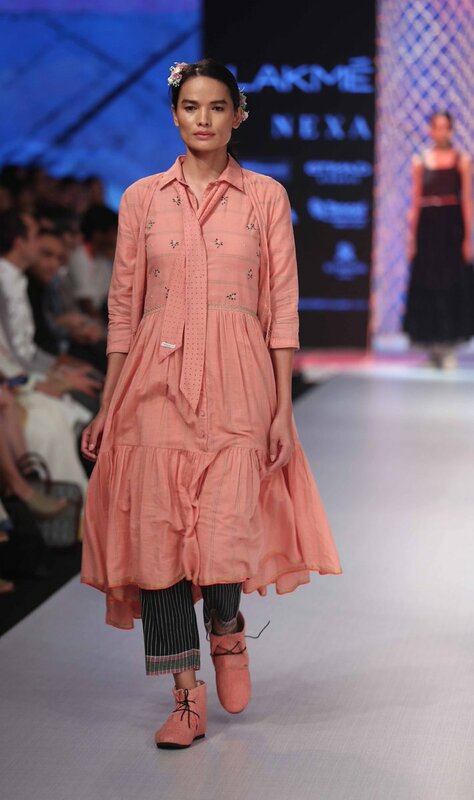 Day two of the show was dedicated to the artisans and sustainable fashion. Atul Bagai, Head of country office UN environment shares his thoughts on driving a circular economy for a more sustainable fashion future. The discussion on the circular economy may boost sustainability in a fashion. 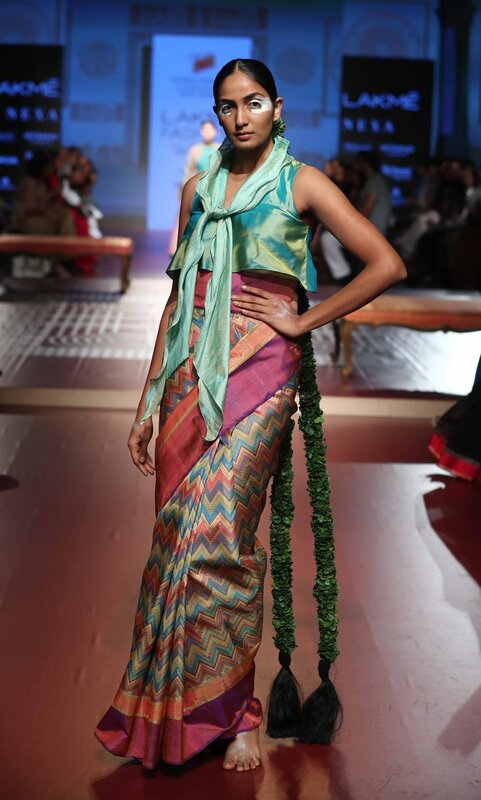 renowned transgender Bharatanatyam dancer Narthaki Nataraj from Tamil Nadu adds a stellar performance at the RMKV show in collaboration with Sunita Shanker to revive traditional silks in a new direction. 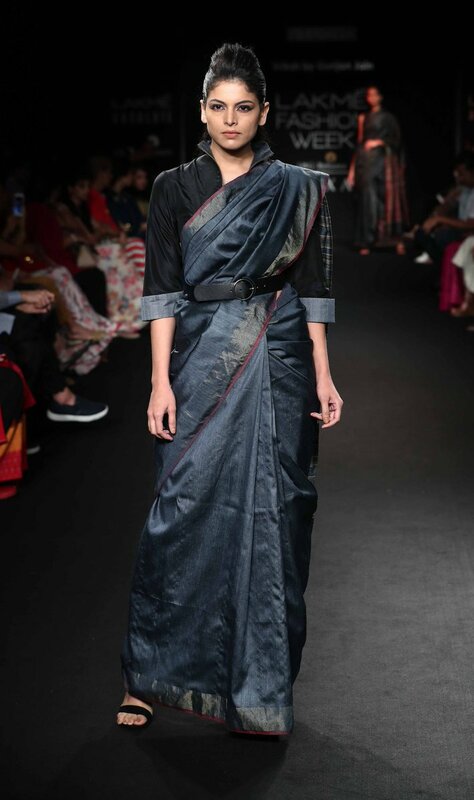 Vriksh by Gunjan Jain presents a collection of handwoven saris styled in experimental drapes and teamed with workwear blouses. The Kota Women Weavers Organisation (KWWO) teams up with Ka-sha for a collaborative line that is about marrying multiple and in many cases contrasting characteristics. Presented by Craftmark. KVIC(Khadi & Village Industries Commission) presented The Third Floor Clothing. 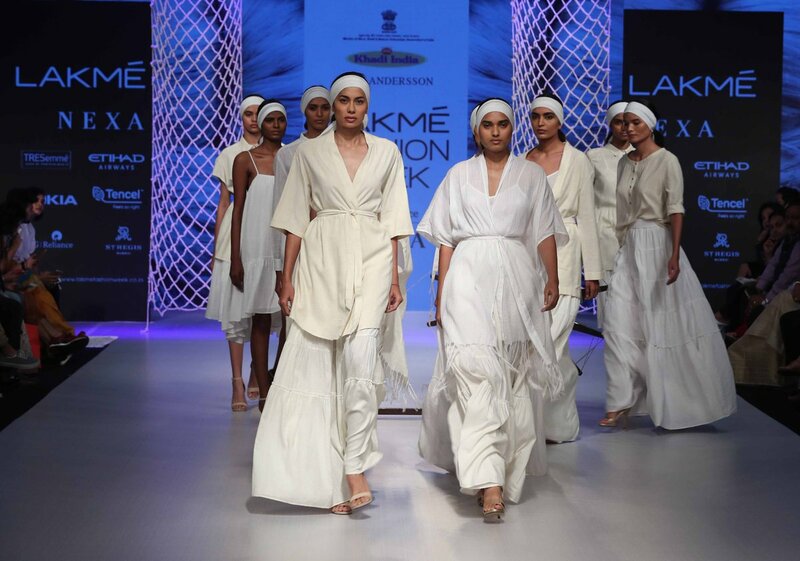 Khadi silks dominate a collection that’s big on layering and androgynous silhouettes. 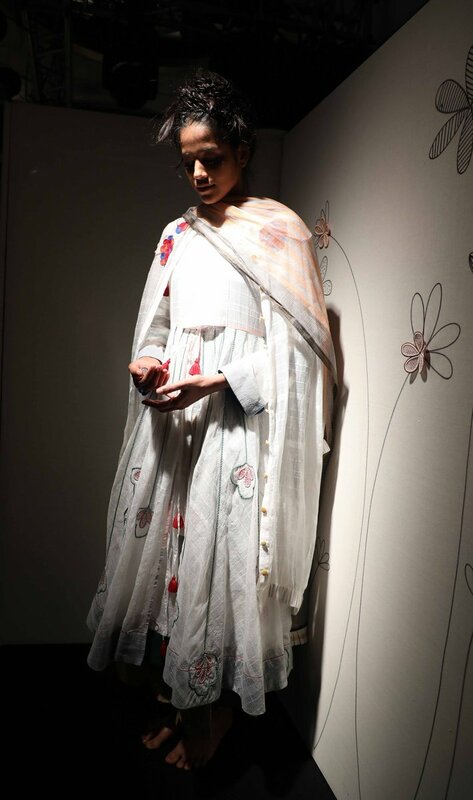 The organization also brings Buna's collection named as the "Time Whisperer" the clothing is rooted in the Japanese concept of Wabi-Sabi, drawing a parallel with Khadi. 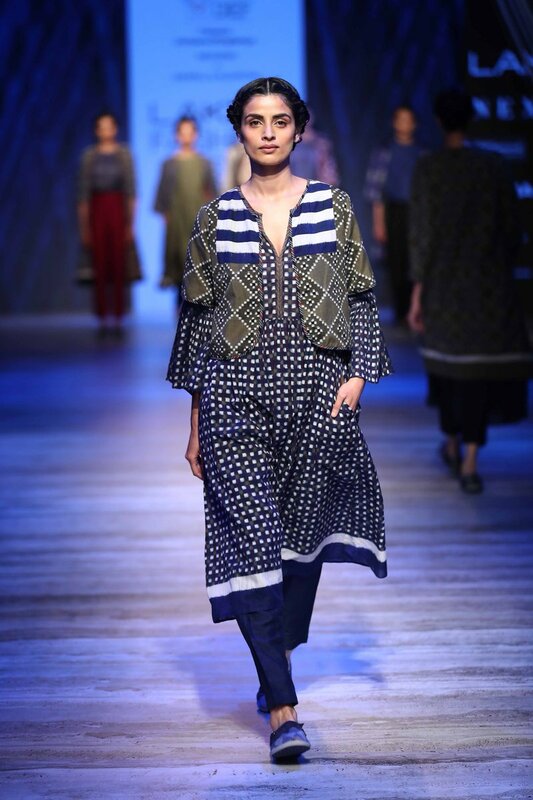 A digitally driven designer-artisan collaboration with Indigene, Barpali & Nuapatna's W/F'18 collection of silk & silk cotton Ikat textiles on Sustainable Fashion Day at Lakmé Fashion Week. 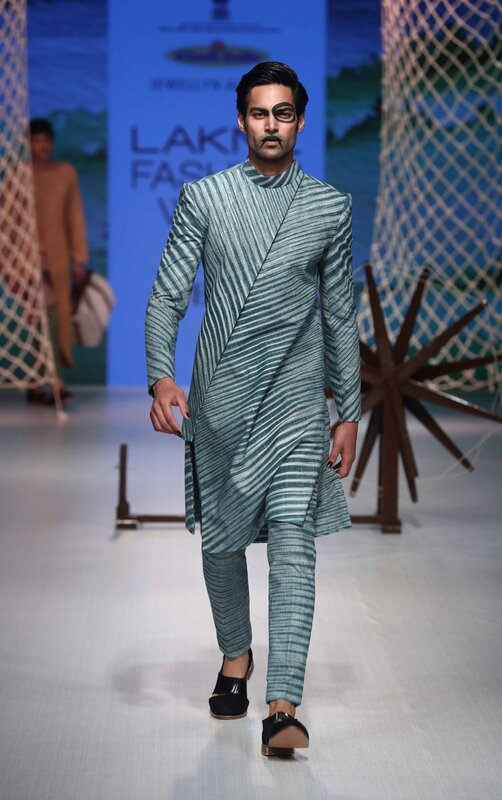 EKA presents a collection in hand-spun & hand-woven cotton (khaki), in a collection of stripes, checks, hand block prints developed for the season. 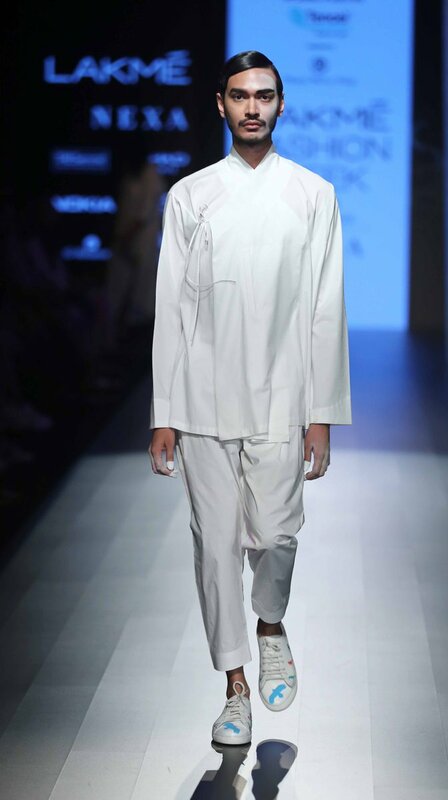 the collection focuses on raw beauty and natural fibers.